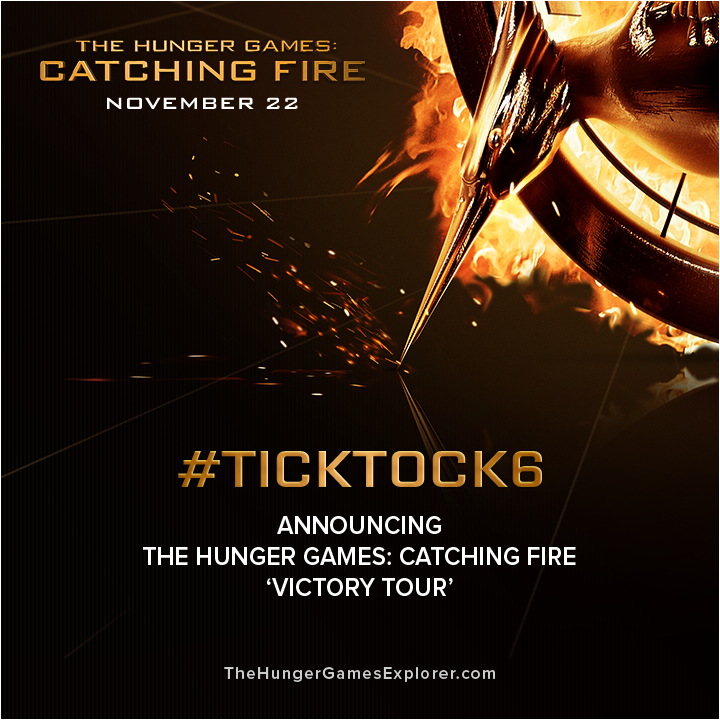 Home » » #TickTock6: Catching Fire Cast 'Victory Tour' and Worldwide Interaction With Fans! #TickTock6: Catching Fire Cast 'Victory Tour' and Worldwide Interaction With Fans! UPDATE: The Hot Topic store in Cherry Hill Mall is reporting a Catching Fire event to be happening there - "one of five in the country". More soon.. The cast will be participating in special fan Q+As, signings and more..
For worldwide Tributes, November 6th will see members of the cast interacting through Twitter, Facebook, Tumblr, Google+ and Yahoo. 6 lucky fans will be chosen for a special Google+ hangout! Enter HERE.